Britain's greatest pop diva, Dusty Springfield was also the finest white soul singer of her era, a performer of remarkable emotional resonance whose body of work spans the decades and their attendant musical transformations with a consistency and purity unmatched by any of her contemporaries; though a camp icon of glamorous excess in her towering beehive hairdo and panda-eye black mascara, the sultry intimacy and heartbreaking urgency of Springfield's voice transcended image and fashion, embracing everything from lushly orchestrated pop to gritty R&B to disco with unparalleled sophistication and depth. She was born Mary O'Brien on April 16, 1939, and raised on an eclectic diet of classical music and jazz, coming to worship Peggy Lee; after completing her schooling she joined the Lana Sisters, a pop vocal trio which issued a few singles on Fontana before dissolving. In 1960, upon teaming with her brother Dion O' Brien and his friend Tim Feild in the folk trio the Springfields, O'Brien adopted the stage name Dusty Springfield; thanks to a series of hits including "Breakaway," "Bambino," and "Say I Won't Be There," the group was soon the U.K.'s best-selling act. After the Springfields cracked the U.S. Top 20 in 1962 with "Silver Threads and Golden Needles," the group traveled stateside to record in Nashville, where exposure to the emerging American girl-group and Motown sounds impacted Dusty so profoundly that in 1963 she left the Springfields at the peak of their fame to pursue a solo career. Her first single, "I Only Want to Be With You," boasted a dramatic sound and soulful melody worthy of a Phil Spector hit, and it quickly reached the British Top Five; it also fell just shy of the Top Ten in the U.S., where it became the first major record from a U.K. act other than the Beatles since the Fab Four's launch of the British Invasion. Her biggest American Top Ten hit, "Wishin' and Hopin'," was the first in a series of Springfield smashes from the pen of songwriters Burt Bacharach and Hal David; she would subsequently cover Bacharach/David classics including "Anyone Who Had a Heart" and "I Just Don't Know What to Do With Myself," surpassed only by Dionne Warwick as the finest interpreter of the duo's songs. 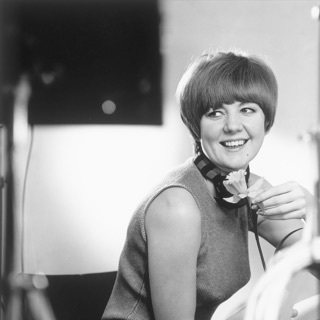 Additionally charting with hits including "Stay Awhile" and "All Cried Out," by the end of 1964 Springfield was arguably the biggest solo act in British pop, winning the first of four consecutive Best Female Vocalist honors in NME; that same year, she also created a political furor after she was deported from South Africa for refusing to play in front of racially segregated audiences. Returning to England, in 1965 Springfield hosted the television special The Sound of Motown, a show widely credited with introducing the Sound of Young America to the their British counterparts, and continued racking up smashes like "Losing You," "Your Hurtin' Kinda Love," and "In the Middle of Nowhere"; in 1966, she scored her biggest international hit with the devastating ballad "You Don't Have to Say You Love Me," which topped the U.K. charts and reached the Top Five in the U.S. The soundalike "All I See Is You," another heart-wrenching evocation of unrequited love, soon reached the British Top Ten as well; it was followed, however, by the Bacharach/David-penned "The Look of Love," a bossa nova-inflected classic positively radiating with dreamlike sensuousness. By 1968, however, Springfield's commercial fortunes were on the decline -- in the wake of psychedelia and the Summer of Love, "girl singers" were now widely perceived as little more than fluff. 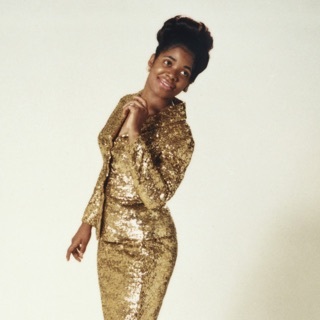 In response, she signed to the American label Atlantic, traveling to Memphis to record with producers Jerry Wexler, Tom Dowd, and Arif Mardin; the resulting album, issued in early 1969 as Dusty in Memphis, remains her masterpiece, a perfect marriage of pop and soul stunning in its emotional complexity and earthy beauty. Although the classic single "Son of a Preacher Man" cracked the Top Ten on both sides of the pond, the album itself was nevertheless a commercial failure, as was its fine 1970 follow-up, A Brand New Me, recorded in Philadelphia with the input of the songwriting/production team of Kenny Gamble and Leon Huff. After completing 1972's See All Her Faces, Springfield relocated from London to New York City, eventually settling in Los Angeles; there she signed to ABC/Dunhill and recorded 1973's Cameo, another critical success which like its predecessors made virtually no impact on the charts. A projected follow-up, Longings, was abandoned prior to its completion, and apart from singing backup on Anne Murray's Together album, Springfield spent the mid-'70s outside of music while battling substance abuse problems. She finally resurfaced in 1978 with the Roy Thomas Baker-produced It Begins Again, followed a year later by Living Without Your Love; both attracted little notice, although the non-album single "Baby Blue" was a minor British hit in 1979. Apart from a handful of soundtrack contributions, Springfield was silent until returning to London in 1982 to record White Heat, an album firmly grounded in the prevailing synth-pop sound of its times; again, despite good critical notices, a comeback failed to materialize. She would release just a handful of singles over the next few years, including the 1984 Spencer Davis duet "Private Number," the 1985 ballad "Sometimes Like Butterflies," and a 1987 collaboration with Richard Carpenter, "Something in Your Eyes," which became a minor success in the U.S.